Renowned international hospitality association Relais &Châteaux is delighted to announce that Wharekauhau Country Estate has joined as its newest member in New Zealand. Perched breathtakingly on the clifftops above the thunderous Palliser Bay, Wharekauhau Country Estate commands soul-stirring views of the surrounding mountain range, wide open pastures, and never ending Pacific Ocean horizon. Wharekauhau Country Estate is designed as along the lines of an Edwardian country house offering total immersion in the natural location, abundant wildlife and showcasing the very essence of New Zealand. 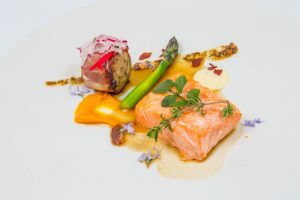 Guests are taken on a personalised culinary journey with daily changing menus that honour local ingredients, the story of the place, and the connection the farm and its surrounds. 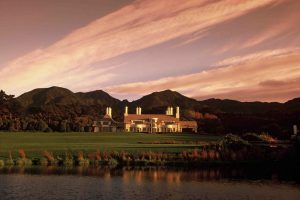 Wharekauhau Country Estate joins more than 540 of the world’s top rated, luxury boutique hotels and restaurants. Fellow New Zealand members of Relais & Châteaux include: The Lodge at Kauri Cliffs, Huka Lodge, The Farm at Cape Kidnappers, Otahuna Lodge and Matakauri Lodge. Whilst each property across the global Relais & Châteaux membership is distinctively individual, each is selected for the outstanding hospitality and charm that defines all members and is measured by the total experience offered to guests. “Wharekauhau Country Estate is honoured to be involved with Relais & Châteaux as it aligns with our own company values of non-compromising quality when it comes to service, food and accommodation as well as ensuring every guest leaves with a memorable meaningful stay.” stated Richard Rooney, General Manager, Wharekauhau Country Estate.